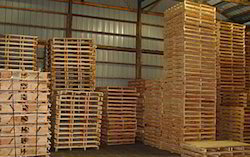 Wholesale Trader of a wide range of products which include pallet solutions - wooden pallets & crates and on site packing service. NDP complies with the strictest international heat-treatment standards (ISPM-15), guaranteeing the annihilation of all larvae and parasites that may be present in the wood used to produce our wooden pallets and crates. Heat-treatment is different than kilning; as heat-treatment completely eradicates any living organisms in the wood, whereas the goal of kilning is to simply dry the wood. · Your packaging weighs less and offers significant cost savings due to the reduction in moisture content from the heat-treatment process. Why take chances with your goods while in cargo. Make certain your products arrive at their destination in the same condition as when they were shipped. 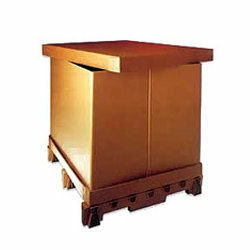 So avail the service of On Site Packing Service with our experienced and well versed teams of expert and save cost of damages. We can provide on-site inspections, help you select materials, recommend equipment and create prototypes to deliver value driven packaging solutions that meet even the most stringent requirements for industrial, commercial, and consumer goods. We can even package your products for you.